Ideal for automotive full vehicle testing programs, including Engine Cooling, HVAC, Emissions Testing and Brake Testing. 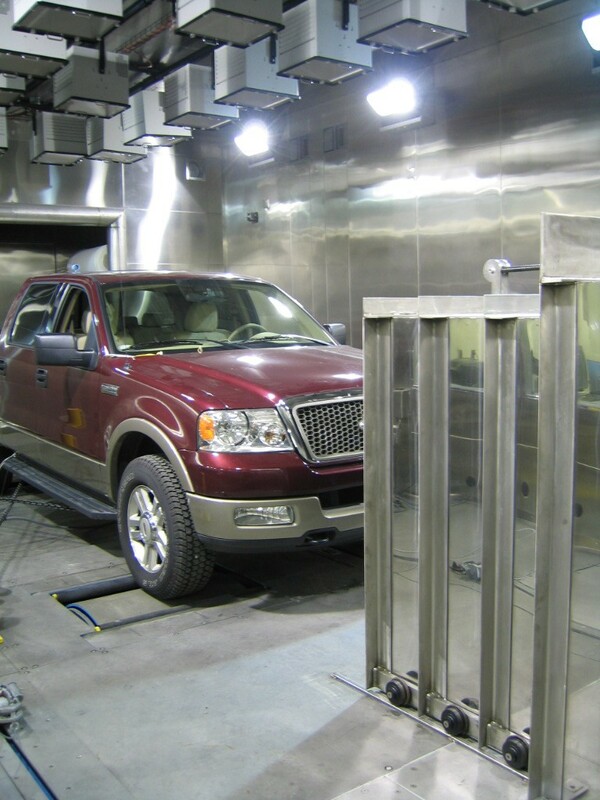 Integrated 48” or 72” integrated chassis dynamometer, with road speed fan velocity simulation. Fixed or movable wheel base. Front, rear or four (4) wheel drive. Validate engine performance, fuel economy and on board diagnostics. 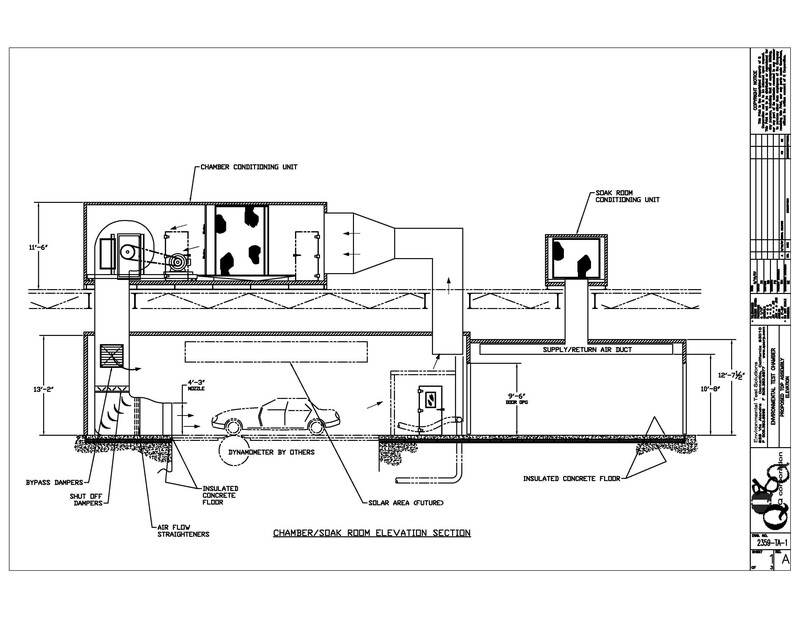 Addition of optional connecting soak room maximizes run time and test schedule. Optional solar array packages available with multiple zone control and vertical/side mounted profile. Available in Infrared or Full Solar Spectrum (metal halide). Direct expansion refrigeration, additional options include secondary “brine” conditioning for added control and transition capabilities. Multiple refrigeration design packages available with air cooled or water cooled condensing systems. Main: 50’L x 26’W x 13’2”H I.D. Soak: 44’L x 28’W x 9’ 10”H I.D.